All Snowbee fly lines are designed in the UK and are recognised by top professionals everywhere, as truly world-class and arguably the best British Fly Lines ever made. 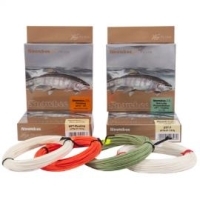 The Snowbee success story in the development of high quality fly lines continues unabated. Ask a large majority of UK anglers, which lines they use and chances are they're already using a Snowbee.